ANA HUNNA works towards a world where women have the choice on how to be active in the society, by revealing the value of women’s contribution to economy and society through their work. To promote the role of teachers and local communities in increasing awareness about the importance of women’s roles in economic development; Madrasati Initiative Jordan is partnering with ANA HUNNA. 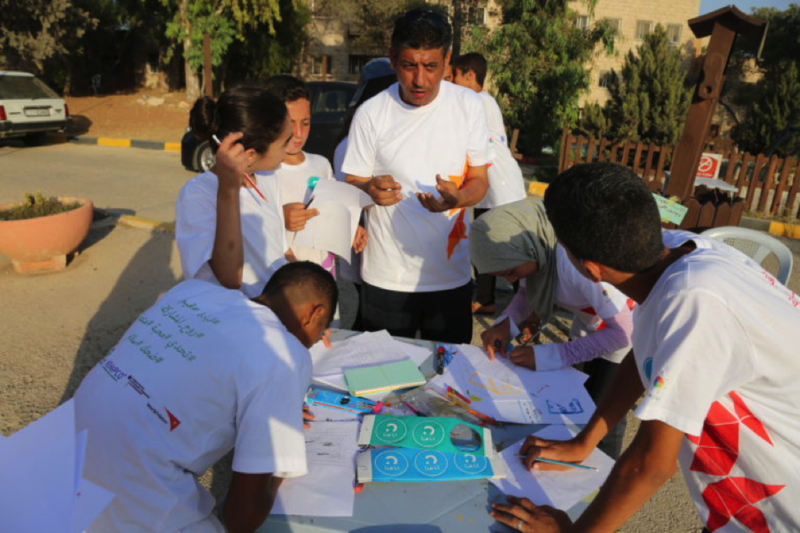 In cooperation with 140 public, private, international and civil society organizations Madrasati serves Jordanian public schools that are identified with the Ministry of Education as most underperforming and most in need of renovation. The partnership with ANA HUNNA reinforces Madrasati’s goals in promoting social cohesion, and empathy amongst students, teachers, and communities through challenging gender stereotypes in classrooms. To harness the collaboration, a framework agreement was acceded between ANA HUNNA and Madrasati. Moreover, EconoWin delivered a training on the ‘ANA HUNNA Educational Kit’ to equip teachers with knowledge and skills necessary to design, deliver, and evaluate training programmes with a focus on gender and on women at work.